Those interested in underwater archaeology, historic shipwrecks and coastal tales of disaster and bravery are in for a bitter-sweet treat this October. 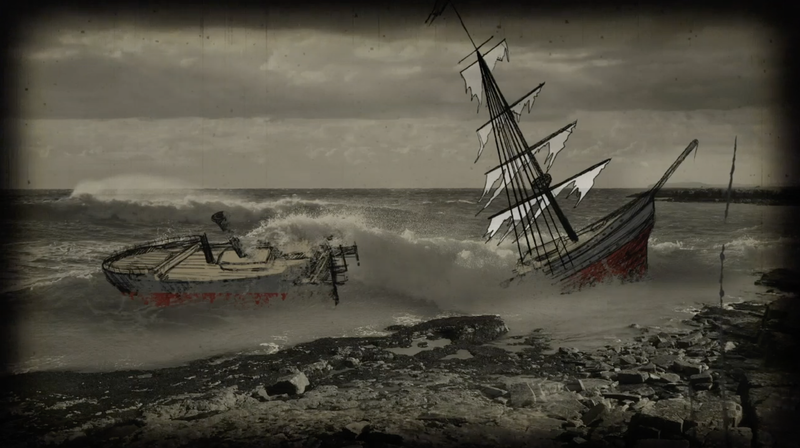 In celebration of Visit Wales’s Year of the Sea, Cadw has today (26 October), launched a brand new digital experience, which will allow users to re-live the infamous Great Storm of 25 – 26 October 1859. Available through the existing Cadw app, the new digital package uses audio-storytelling and augmented-reality technology in a steampunk design, to bring a sea of fascinating stories from the fatal historic event to life. The launch coincides with the 159th anniversary of the Great Storm, which overnight, wrought devastation across Wales, causing serious repercussions for many Welsh coastal communities. With details on everything from the Storm’s catastrophic shipwrecks to its shocking coastal ruins, the new app update will provide users with audio-visual ‘on-the-spot’ reports of what happened that night, including a virtual re-creation of the Storm — which is known as Wales’s worst-ever maritime tragedy. Users can unlock access to a whole host of gripping tales at 13 different locations across the country, including Holyhead, Aberystwyth, Aberporth, New Quay, Cwm y Eglwys, Porthgain, Little Haven, Tenby, Rhyl, Barry Island and three separate locations in Moelfre. Each location represents a different local tragedy or heroic story, including that of the now-famous Royal Charter — a vessel which was destroyed off the coast of Anglesey. As dawn broke on Friday 26 October 1859, the passenger steam clipper built in 1855 was ruined on its return to Britain from Australia. Residents of Moelfre, Anglesey, watched in horror as 450 lives were lost to the dastardly waves — accounting for more than half of the Storm’s total victims. At a specially selected location in Moelfre, users can watch as the now-famous Royal Charter ship gets caught up in the extreme weather, before foundering on the rocks and revealing one of Wales’s most well-known shipwrecks. Spanning Rhyl to Barry Island, the app’s ‘live’ reports are delivered by a Victorian news anchor, Joseph Potter, via ‘Potter’s Electric News Telectroscope Service’ — a modern take on the late Haverfordwest local newspaper, ‘Potters Electric News’. 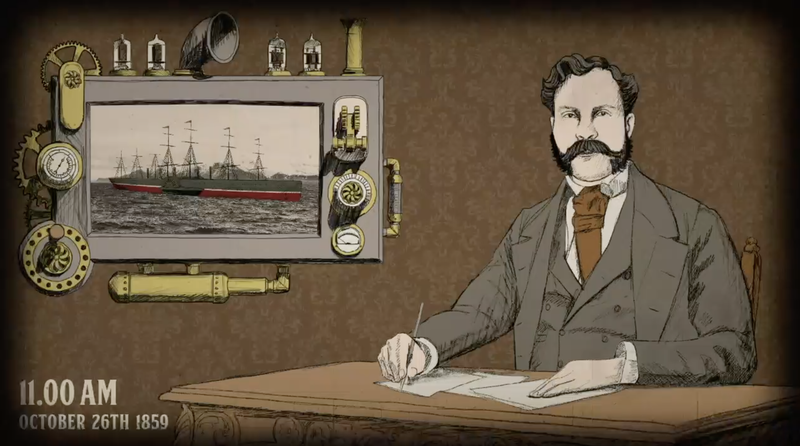 Each fascinating account was meticulously sourced from national archives, ships’ registers and witness statements, as well as detailed local news reports — thanks to the pioneering electric telegraph technology of the time. The active locations have been facilitated in conjunction with the Royal National Lifeboat Institution (RNLI) and other authorities. Directions to each site are provided within the app. Minister for Culture, Tourism and Sport, Lord Elis-Thomas said, “This innovative digital experience is yet another example of how Cadw is successfully using cutting-edge technology to make Welsh heritage easier to access, digest and enjoy. In the past, we have successfully used augmented-reality technology, 360 degree cameras and aerial video to provide the local people of Wales, and visitors alike, with new and exciting ways to engage with our rich history. 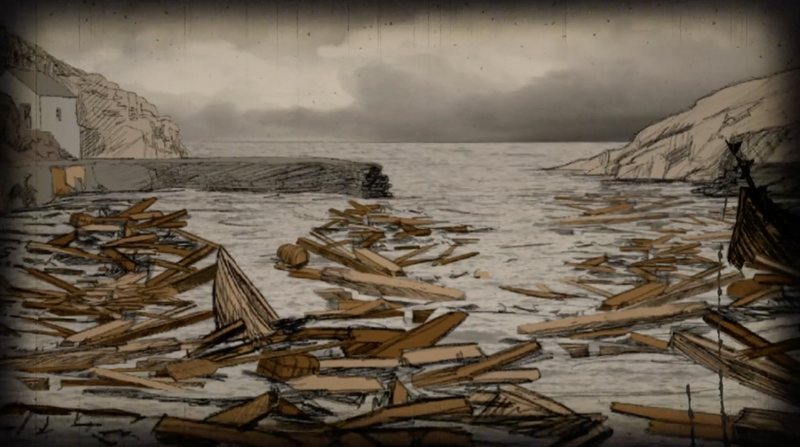 “And, during Visit Wales’s Year of the Sea, I hope that this new offering will encourage people of all ages to engage with the history of the Great Storm of 1859, which is deeply embedded within Wales’s unique historic environment”. The Great Storm digital experience can be accessed by searching for ‘Cadw’ in the App Store (Android or Apple), downloading the Cadw app onto your smart device and selecting the ‘Great Storm’ package, located within the ‘Digital Tours’ section. For more information about Cadw and its new digital experience, visit www.cadw.wales.gov.uk, follow @CadwWales or @CadwCymru on Twitter and find Cadw on Facebook.